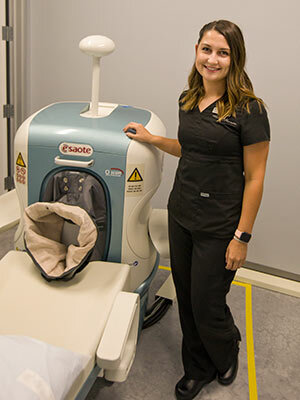 At SpineNevada's offices in Sparks and Reno, we have exclusivity to the region’s only “In-Motion” MRI scanner, the Esaote G-scan Brio and the Extremity O-Scan MRI. This InMotion MRI allows us to image you in both the supine (flat on your back) position and the standing position. The MRI table actually rotates from the horizontal position to a vertical position which allows pictures to be taken while the neck and low back are in a weight bearing state. This potentially demonstrates a disc herniation or “pinched” nerve that might otherwise not be seen with the usual MRI performed only in the lying down position. 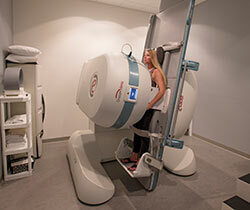 SpineNevada’s musculoskeletal and extremity MRI is called the Esaote O-Scan MRI. All Esaote MRI systems have patient comfort at heart and the O-Scan is no exception. O-Scan is the ultimate solution for MRI of the knee, calf, ankle, foot, hand, wrist, forearm and elbow because of the patient experience and high quality imaging. Imaging services performed at SpineNevada are read by a board-certified diagnostic radiologist. The SpineNevada Radiology department includes advanced trained radiology technicians led by Dr. Stefan Franciosa, a board-certified and fellowship-trained interventional and diagnostic radiologist. The tiltable Esaote G-Force Brio at SpineNevada provides more detail, better accuracy and greater confidence . How can SpineNevada's Open and Weight-bearing MRI improve accuracy of spine diagnosis? 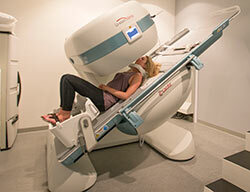 OPEN INMOTION MRI is weight-bearing, this means the patient’s position becomes an integral part of the exam’s outcome. This is especially important for diagnosing musculoskeletal conditions. 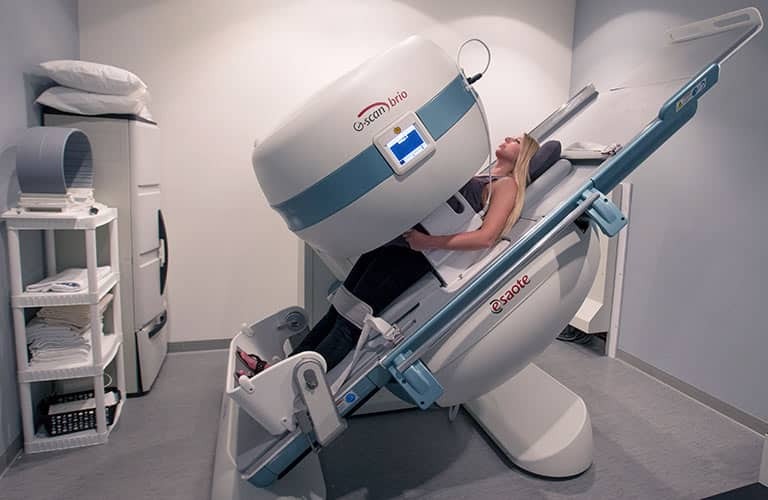 Since the force of gravity generates bio-mechanical changes in anatomy, INMOTION MRI in a natural, stand-up position allows physicians to attain important additional information compared to traditional MRI. Impressive image quality, studies reveal 20-30% larger or more frequent findings with WEIGHT-BEARING INMOTION MRI imaging than traditional non-weight bearing MRI. 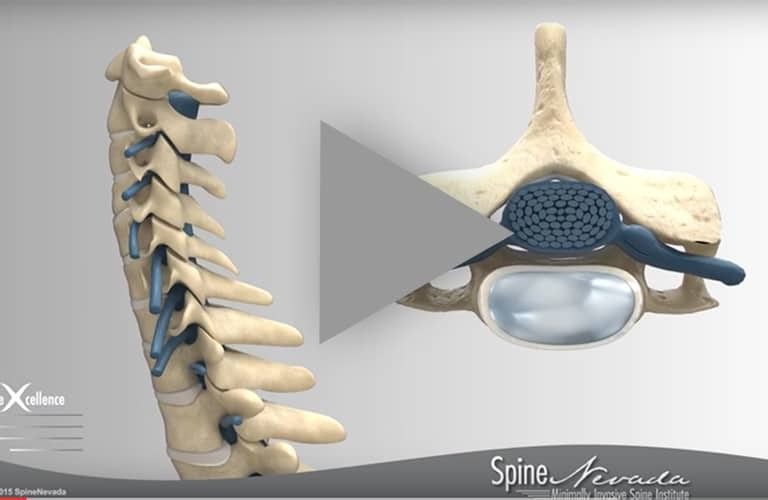 The spine neurosurgeons utilize the unique data provided by these imaging advancements to perform their complex, minimally invasive spine surgeries. 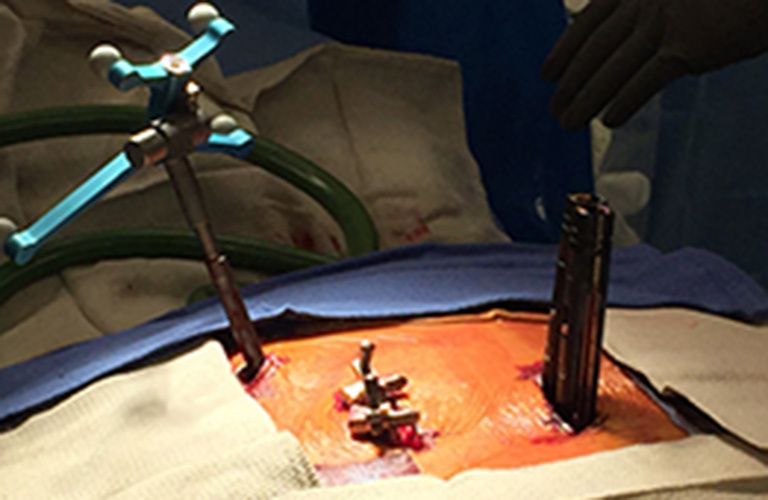 This optimizes patient outcomes with the smallest incision possible.